Beauty Queen Entrapped in Human Trafficking Saga, Narrates her Ordeal. Human trafficking is gradually taking greater stride in the world lately. South Africa is one of the major countries where s*x trafficking is carried on a larger scale. Mahlangu, a former beauty queen from South Africa was a victim of the same recently. 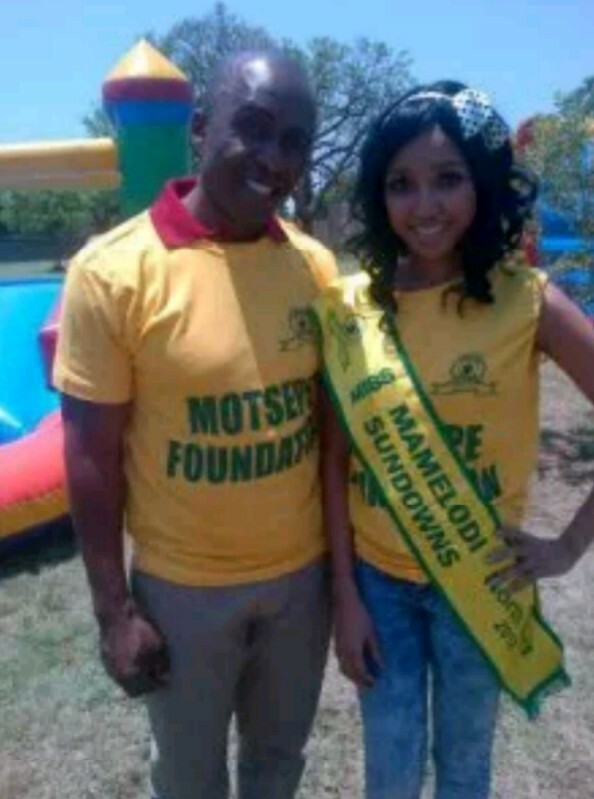 Being born in QwaQwa Mahlangu is a former Free State Miss Mamelodi Sundowns 2012, who was trapped via a social media site in a human trafficking racket. The former Free State Miss Mamelodi Sundowns 2012 was lured to Malaysia through a post which she saw on Facebook about a modeling about a beauty pageant with greater gains. According to Hawks spokesperson Hangwani Mulaudzi, when Mahlangu and the other 14 girls arrived they were told by their handler that the competition was cancelled. They were then held hostage in a hotel room. Frantically, Mahlangu called her brother to notify him of the situation she found herself and the other girls. The Hawks then contacted Interpol, who in turn contacted their Malaysian counterparts,” said Mulaudzi. The Police minister Fikile Mbalula said that there are more people trafficked into South Africa after which they are moved out of South Africa. Police Minister also urged anyone with information on other bogus beauty pageants to give their information to the police. The woman was rescued after police from South Africa, working together with Interpol and local Malaysian police intruded. It is implicit that the girls had travelled to participate in Miss United Countries, a pageant which Taremeredzwa Munzara is believed to be a director of the pageant. The modelling agency through which the director belongs to contradicts of being involved in human traffics or attempting to traffic any women for prostitution or organ harvesting. Additional sources, close to Munzara claim that the renowned director was involved in a dispute with the South African lady, which led to her spreading stories that she had been trafficked. Munzara’s sister, Miriam, stated that the pageant was cancelled and all models advised not to travel to Malaysia.”The show was cancelled and emails and WhatsApp messages were sent to the contestants not to go to Malaysia anymore. Unfortunately, four countries said they only read their emails when they had already landed…” A source who chose to be anonymous said that Munzara was being accused on a racial basis. In his world, he said “When he landed in Malaysia, he told me that the hotel which he had partnered with had racially abused him, and then cancelled their sponsorship, before denying access to any of the girls. He would only speak or see them in the company of armed security guards. Another Source revealed that it isn’t the first time that Munzara has been associated to a controversial pageant which has been cancelled at the last minute. In December 2013, a pageant he was linked to, Miss Heritage was cancelled after models had already arrived in Zimbabwe. Have you read it? : Pre birthday shoots of Nigerian Passionate Female Welder Faith Omoniye Lesley. Malaysian police have said that they will only release details once investigations are complete. Munzara would however remain in custody, according to the police sources. Uncovered, true story behind unidentified woman that smashed her boyfriend’s windshield. Face of Culture Africa,Queen Jennifer okechukwu Mark Her Birthday in Grand style.